This week’s highlighted resource is an infographic on world copper production. We recently released this revised version of the top 20 copper mines in the world (by production). 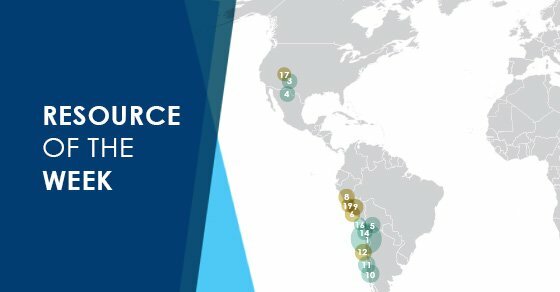 The infographic, based on the International Copper Study Group’s World Copper Factbook 2018, covers where these mines are located, what type of processing they’re doing, and much more. Click here to view the World Copper Production Infographic.